Kevin M. Holloway, Ph.D. is a licensed clinical psychologist working as the Director of Online Programs at the Center for Deployment Psychology (CDP) at the Uniformed Services University of the Health Sciences in Bethesda, Maryland. In this capacity, he leads a team of mental health subject matter experts and technology experts to develop and disseminate technology solutions to improve access to and quality of professional training. Additionally, he develops and presents workshops across the country to military and civilian audiences on topics in deployment behavioral health and evidence-based therapies for PTSD. 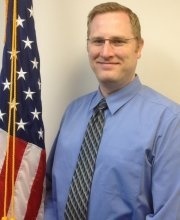 Financial: Kevin Holloway has an employment relationship with Center for Deployment Psychology. Nonfinancial: Kevin Holloway has no relevant nonfinancial relationship to disclose.